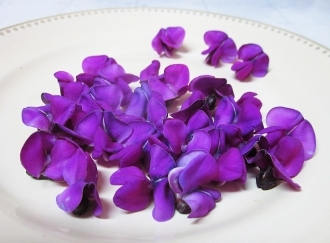 Bright purple flowers with a nice bean flavor. About 1" long. Add fresh bean taste and wonderful color to meat dishes and dress up salads. The Bean mix of bright purple, vibrant orange & soft white are currently unavailable.